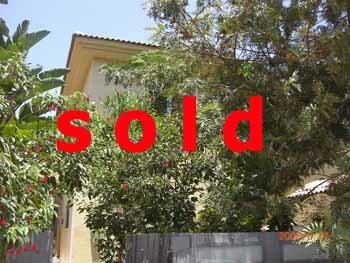 Kadima single sale in the 320 is built on a half acre. Advantage in a high position, that there are entry level bedroom. Large kitchen. Salon beautiful. Near the village primary school. Price: ₪ only 3.5 million! Subject to serious negotiations with a buyer. Sale House - Villa in the near Tel Mond. House on 640 sqm of land and built 280. 70 sq.m. basement 3 rooms with separate entrance. Great location in the seat. Technical specifications in particular. House 7 rooms, built 290 sqm on 330 sqm plot. New house at the end of construction! Open view Lfradsia seats around. Basement with separate entrance about 85 square meters. Luxurious specification. Price: 3.500.000 ₪. 9 years old house on a half acre. View open fields. Quiet pedestrian mall. 7 rooms, 280 sqm. 60 sqm + basement safe room. Well-tended garden and beautiful, 8-meter warehouse. Fireplace in the living room. Price: 3.780.000 ₪. New Neighborhood House 7 rooms Two - Family For Sale. At the Baron's mansion. Built 255 sqm on 407 sqm plot. Technical specifications. A new design method of "Feng Shui"! With a large, bright basement with separate entrance. Price: 3.680.000 ₪. Sale Pardesiya Cottage 6 rooms + safe room: a quiet pedestrian mall in demand in the field. 200 sqm house built on 250 sq.m. plot. Semi - Detached invested neat kitchen with wood carpenter details. Temperate world. Closed garage + open parking. Room under the roof with a window air conditioner. Terrace is closed under license. 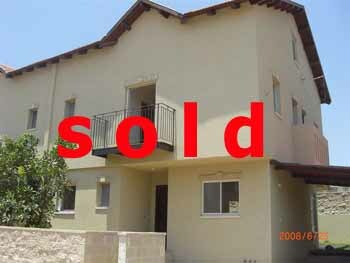 Price: ₪ 1,990,000.
best price villa for sale in Tzoran. Cottage for sale in Tel Mond. cottage Haptachim. big garden. please call Natan. A new cottage for sale in Tel mond. please call Natan. Cottage for sale in Tel Mond. cottage kohav. big garden. please call Natan. Villa Roni is a huge magnificent house for sale in Tel Mond. very good area. 2 new cottages for sale in Tel Mond. good living area. please call natan. 2 villas for sale in Tel Mond. new. entery in August. for more details please call. New Prestigouse villa for sale in tel mond. best location. big basement. over looking green filds. Cottage for sale in Tzoran. 3 levels. please call natan. An old house on a big size plot for sale in Tel Mond. excellent investment. possibility to build one more house on the plot. 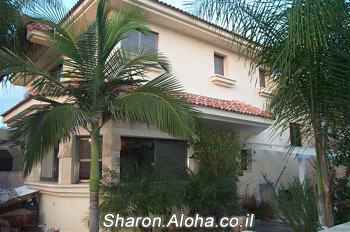 A very special Villa for sale in Kadima. quiet area. 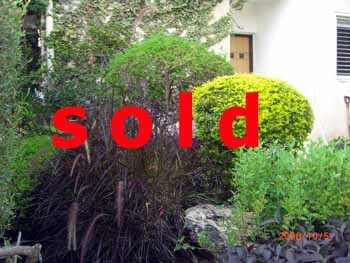 Cottage Ayala - Cottage for sale in Kadima. options. 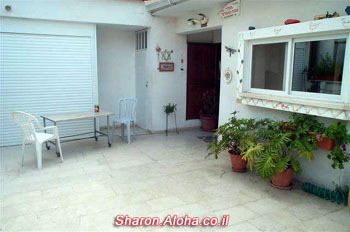 Cottage Orna - house for sale in Tel Mond. excelent area. near schools. option for 2 saparat living units. In Tel Mond a 5 years old house for sale in a desired area. high level finishing. fireplace and solar water heating. 80 sq.M basment built as a saparate living unit. House for sale in Tel-Mond - Cottage America. beautifly built. 3 floors. central vacume cleaning system. 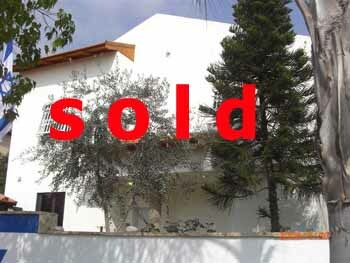 For sale In Tel Mond a 5 rooms villa. 3 toilet rooms and 2 bath rooms. big garden. roofed parking. good area. Villa for sale in Tel-Mond. 70 sq.M balconies. + extra living unit. aircondition. new kitchen. Villa Natalli is a prestigious two-family dwelling house, located in a prestigious area. a real "out of this world" house. come and see for your self. Cottage Nansi - is a very big and prestiges Cottage located in Tel Mond. 2 floors + attic + basement. Central vacume cleaning system. Fire place. There is a possibility to rent the basement itself. big cottage for sale in Tzoran. big size garden. please call Natan. The french cottage. lovely cottage for sale in Tel Mond. high location. Cottage Bili for sale in Tel Mond. 2 floors. High standard of building. House for sale in the "heatr" of Tel Mond. A charming cottage for sale in Tel Mond. open View. aircondition. parking. please call Ron. Villa lili is a well kept cottage in Tel-Mond. the house has a beautifull garden and a wonderful location. best buy. A new villa for sale in Tel Mond. please call natan for more details. In Tel-Mond: More than 350 sq.M garden. 5 levels villa. saparate living unit on the lowest level. second level huge living room, kitchen and the garden. next level: parent unit with bath room on suit and dressing room..
Cottage Tzoof. house for sale in tel mond. good location. near schools. please call Aloha real estate. Cottage for sale in Tel Mond. please call Ron. Villa Mango is a huge 6 rooms cottage + atic. big size garden. located in a quiet area in Tel-Mond. must sell.